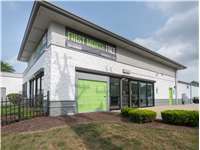 Extra Space Storage is conveniently located in the South Side of Chicago near Chatham and surrounding neighborhoods. Local residents will recognize our location just to the east of the 87th St. Metra train station, roughly half a mile east of popular stores like Target and Nike Factory Store. Climate Control: These interior units are maintained between 55°F and 85°F to make sure temperature-sensitive belongings are protected from extreme temperatures. Drive-Up Access: These exterior units allow you to pull your vehicle directly up to the storage unit to load and unload. In some cases, you might even pull your vehicle into these units, as they're commonly used to store motorcycles and cars. With drive-up storage units ranging from 5x10 to 10x30, we're able to offer enclosed vehicle storage options for a variety ofcustomers. Motorcycle Storage: Motorcycles are commonly stored in 5x10 storage units. Car Storage: Automobiles are most commonly stored in 10x20 units. Some compact cars can fit into a smaller 10x15 unit. Larger vehicles, such as pickup trucks, might need a 10x30. At Extra Space Storage, you can count on a clean, well-maintained storage facility and exceptional customer service from our friendly, professional staff. Take a quick look through our reviews, and you'll see why so many Chicago residents choose us as their self storage solution! Great place to store your valuable items. I loved the special of one month free and the price is reasonable. It was a perfect experience thanks to the staff. I have no complaints whatsoever. I wish that I had done it a long time ago. This a great place to storage you things.The employees are Awesome!! Very professional, friendly, helpful, knowledgeable. Units and facilities very clean. Security cameras, easy access and great hours. I would surely use the services again. Staff Pleasant, Knowledgeable & The Facility Is Well Kept! Hassle free, friendly, and helpful service. Greatly appreciate the management. Nice facility, clean, easy access, good security. Very friendly and helpful staff. Extra space storage is a great company, they will advise people & help organize your storage needs proficiently. I did look at others storage places , This one was the cleanness , they help me find the right fit I needed. VERY nice AN friendly service. HAD THE SALES PITCH DOWN PACKED. VERY KNOWLEDGEABLE ON THE SPACE I NEEDED. This company constantly increase storage unit monthly rates !!! I'm currently looking for other alternatives. I also take comfort knowing, (SOON) I will no longer do business with Extra Space Storage. The storage space is great for everything we have to put in there. Also, the storage manager was great with all the details pertaining to moving in the storage space. I like renting from Extra Space Storage because it has easy access for renters, the facility is secure, and the facility if very clean. This facility is a good place to store belongings. The only thing I would suggest is that have a way the doors stop becoming out of order. This is the 2nd time I have utilized the facility and I have no complaints... The staff is friendly and curteous!!!! The only thing I would suggest is along with e-mail reminders (that always go to my spam box) you should also offer customers text messaging reminders, other than that great facility. Thanks you guys... Smooches!!!! Beautiful facility been here for a very long time and wouldn't leave it for the world. Drive south on I-94. Take exit 61B and merge onto S Lafayette Ave. Turn left onto W 87th St. Pass Family Dollar and continue straight. Our facility will be on the left after S Dobson Ave.
Drive northeast on I-94. Take exit 65 and merge onto S Stony Island Ave. Pass Dunkin’ Donuts and turn left onto E 87th St. Our facility will be on the right after S Greenwood Ave.
Drive west on E 87th St. Pass I-90 and continue straight. Our facility will be on the right after S Greenwood Ave.
Drive east on W 87th St. Pass I-94 and continue straight. Our facility will be on the left after S Dobson Ave.